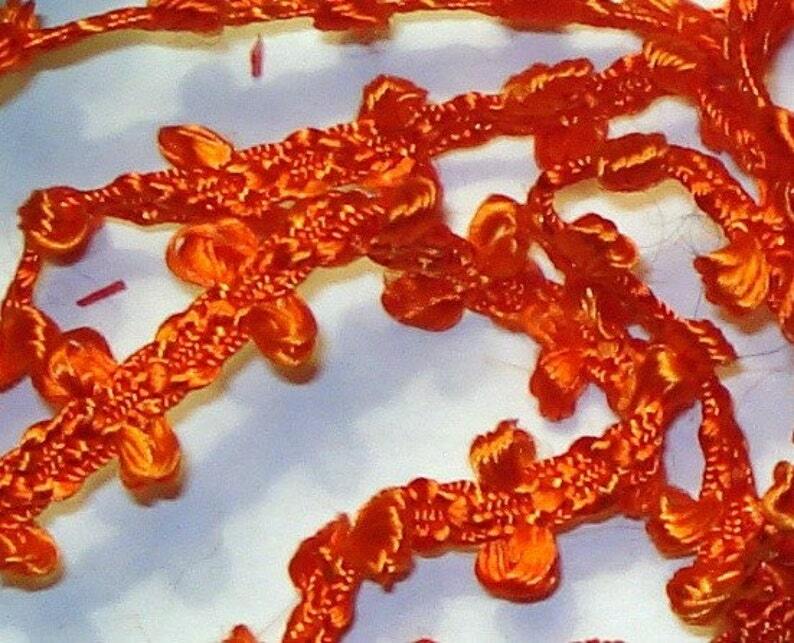 Vintage orange sewing trim, in very good vintage condition. Has a bright sheen. Measures 1 yard 16". Perfect for upcoming fall and Halloween sewing and craft projects! More sewing and crafting items? Lovely items - very happy!